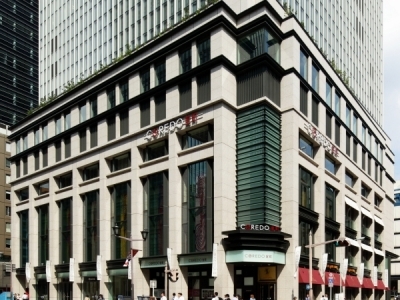 Nihonbashi has a rich food history as it was the original home of the fish market before it moved to Tsukiji. 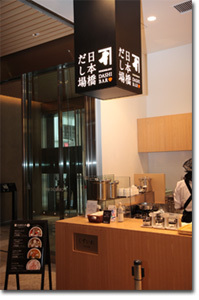 The new COREDO Muromachi building is filled with restaurants and food shops, some dating back hundreds of years. Pick up Japanese knives at Nihonbashi Kiya or taste the smoky bonito stock or dashi based soups like kabocha and chicken potage at Ninben’s Nihonbashi Dashi Bar. Fresh fish is grilled over a sumi charcoal pit at the casual izakaya Nihonbashi Kinoshige. 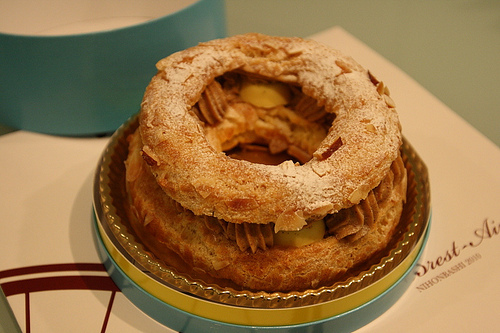 And perhaps one of the most talked about food item at COREDO Muromachi is the traditional Paris Brest-Aimee at Patisserie Aimee Vibert. The Okinawa Washita Shop in Ginza may be one of the most unique antenna shops in the city due to the unique food and beverage culture of Okinawa. The cuisine of the southernmost islands of Japan is very different from what you will find in the rest of the country. This tropical islands are rich with sea vegetables, pork and the local shochu called awamori. The basement is filled with awamori is a distilled beverage made from Thai rice and has a unique funk to it that makes it the perfect partner for the Okinawan cuisine. Okinawa is also famous for the longevity of the Okinawans, which many attribute to the diet and awamori. The smoked skin from a pig’s face is sliced for a snack food. Fresh produce including the bitter goya, tropical fruits and a citrus shikuwasa juice, great for cocktails, shimadoufu (a very dense, rich tofu), and Okinawan tea (sanpincha). I also was so happy to find a Japanese grater called “shiri shiri ki” that is ideal for grating carrots for salads or spring rolls. We had one in our home growing up and used it often. 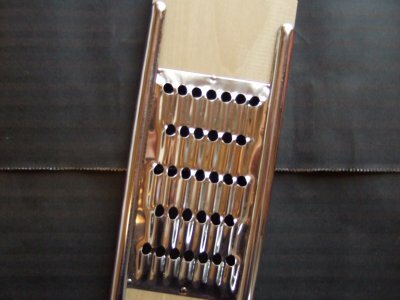 I also like it for grating potatoes for hash browns. I haven’t seen it at any other shop in Japan, just here. Kappabashi is a wonderland for chefs. Here you will find almost everything that one would need for cooking. 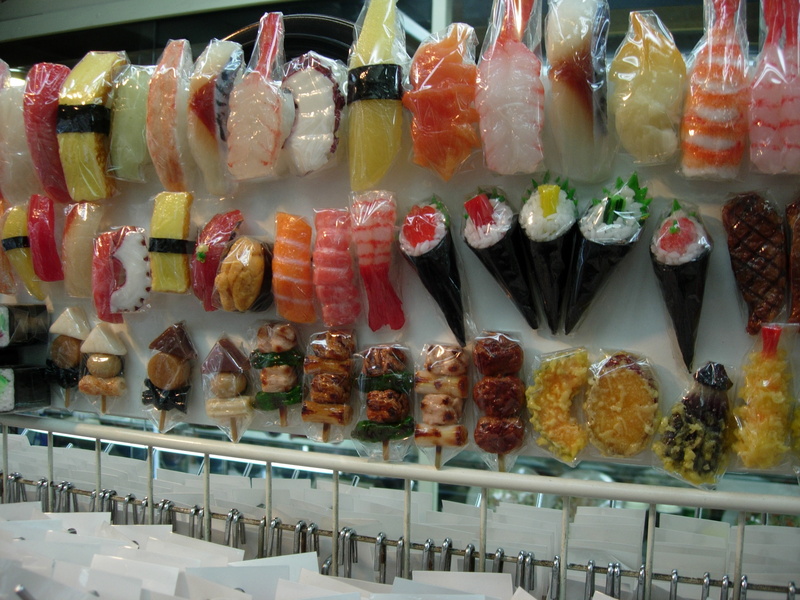 While it is famous for its plastic food models, that is only a tiny part of what you will find in this area, very close to Asakusa, the popular tourist destination. 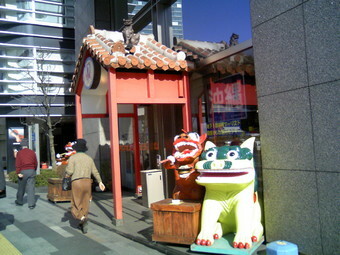 It is a short walk from Asakusa so should not be missed. This article, which first appeared in Metroplis magazine, highlights some of my favorite kitchen tools that can be found in Kappabashi. The walk up Nakamise Dori towards Sensoji in Asakusa is one of Tokyo’s classic tourist destinations (and, as the cheap trinkets on all sides attest, one of its primary tourist traps). However, Asakusa has an allure for another group as well: serious cooks. The Kappabashi area of Asakusa has everything a budding chef could possibly want. It primarily caters to restaurateurs, but nonprofessionals will have just as much fun. 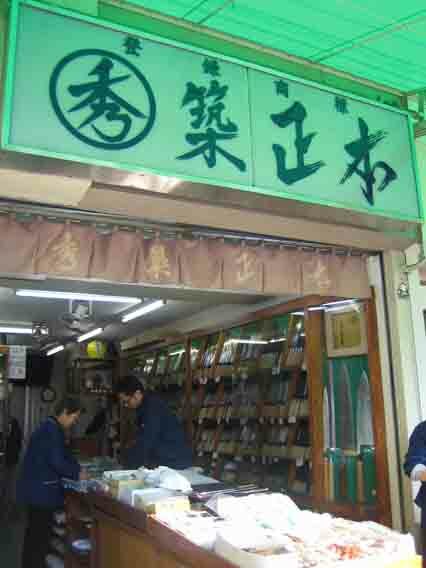 Most shops specialize in one particular item, from chopsticks to chinaware via coffee and bamboo. Others, like Pro-Pack, resemble little department stores, with floors of crockery and cutlery, pots and pans, containers and food. The selection changes throughout the year, which is the reason to keep coming back. This summer I picked up bamboo trays and glass bowls for cold somen noodles. Last week, with chillier weather approaching, stores were stocked with winter essentials, and I grabbed some packs of waribashi (disposable chopsticks) for nabe parties. You will find it hard to leave empty-handed, especially given all the tempting “must-have” kitchen gadgets on the shelves. The more you become familiar with Japanese food, the more tools you recognize, and part of the fun is learning what each is for. My top pick is a mandolin, which will cut vegetables paper thin (and your fingers too, so slice carefully). In second place is a handcrafted oroshigane for grating ginger, garlic and daikon. Knives are also good things to buy in Kappabashi, but if you’re going to invest in a set, be sure to shop around. 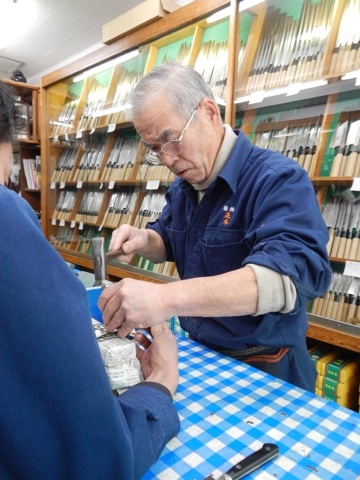 Some of my cooking friends get their knives sharpened at a store called Kamata, which can re-blade an edge even after years of neglect. Remember that Kappabashi often (although not always) deals in quantity over quality. 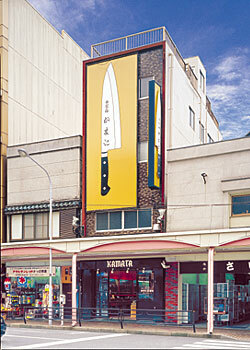 Personally, I think the best knives in the city are found at Kiya, a shop located not in Kappabashi but Nihonbashi. Likewise, for top quality pottery I would head to a major department store. However, for simple, sturdy plates and bowls, Kappabashi has a huge variety at low prices. Some shops will deliver, which is much better than having to drag your dishes through the subway. Before you leave, stock up on presents: plastic food magnets make fun gifts, and for close friends pick up some lacquerware—light, elegant and easy to care for. 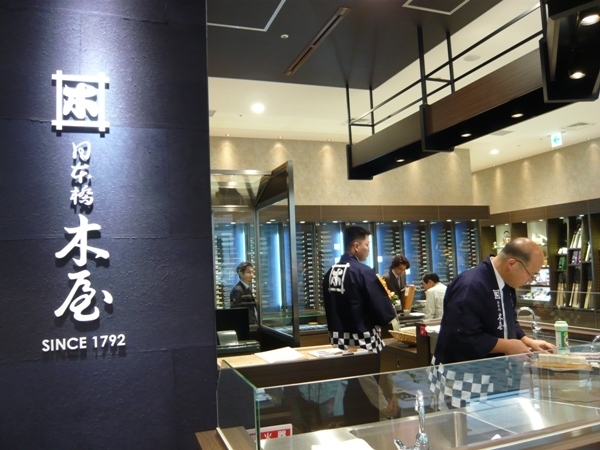 But most of all, Kappabashi is the place to treat yourself and your kitchen. We are all “Iron Chefs” deep inside—we just need the tools to get there, and Kappabashi is where we can find them. “Kappabashi Kitchenware Town” is halfway between Asakusa and Ueno. The closest stations are Inaricho and Tawaramachi on the Ginza Line and Iriya on the Hibiya Line. Many shops are closed on Sundays.